Maurizio Merlo is a professor of forest policy and economics at the University of Padua, Italy. An analysis of communal forestry in the mountainous regions of northern Italy, particularly the Venetian eastern Alps. The continuing existence of this form of land tenure, even in a post industrial context, is evidence of its ability to maximize both private and social utility functions performed by forestry. Recent cost-benefit analyses of common forest management confirm its effectiveness in the face of modern socio-economic developments. Evidence of common forest management can be found in numerous statutes dating from the Middle Ages and relating to alpine village communities known as regole, patriziati, comunalie, etc. Written rules regarding duties and rights were laid down to regulate the social and economic life of village community members. Direct democracy was applied to such an extent that the chief of the regola was not elected but rotated each year from among the heads of the village families. Common forest and pasture management was at the heart of the community's activities and determined the social and economic life of the alpine rural areas. Various authors (e.g. 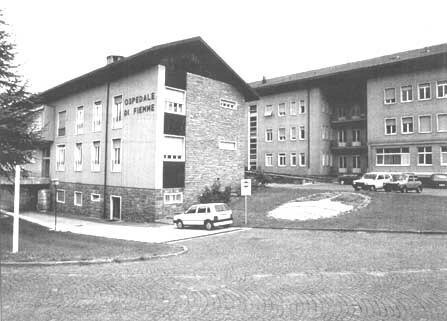 Sereni, 1955) have shown that the roots of these institutions can be traced back to prehistoric settlements existing well before the Roman conquest. Particularly in the most remote alpine valleys, niches of indigenous populations remained isolated and free to organize their social and economic life, unaffected by the political and economic changes experienced in urban society (Forni, 1972). Modern state structures and economic development have progressively reduced the role and expanse of the village communities, particularly in the past 200 years. Today they have practically disappeared and cover only some 200 000 ha or 5 percent of the country's alpine forests. However, in areas where a solid economic base was supported by well-rooted ethical and cultural values, communal forests and, to a more limited extent, pastures have continued to exist. It should be pointed out that communal forestry is distinct from the "tragedy of the commons" as described by Hardin (19683. While the "commons" are marked by an institutional vacuum (brought about by the destruction of customary law without its having been replaced by new socially accepted rules), the regole (literally "rules") consist of institutions and define and assign duties and rights that have been shaped during a continuous evolution from tribal society to village communities and finally to common property forest resource management. By contrast, the tragedy of the commons, which has also occurred in some parts of Italy, has taken place where communal forests and pastures have been handed over to the public domain or individual private owners and have thus come under poor management and/or absentee tenure. Communal forestry, unlike agriculture and other economic activities, seems to have a universal value that is independent of history, economic development, political systems and ideologies. Referring to alpine commons, Pareto (1896), whose work helped lay the foundation for modern welfare economics, affirmed that "since it has undergone the trial of free competition for centuries, collective land tenure responds better [than other forms of land tenure] to certain specific needs.... Its violent destruction would mean a loss in the nation's total utilities". Recent historic and economic analyses (FAO, 1989; De Martin, 1990) of communal forestry have confirmed that common property institutions are effective in and adaptable to the various stages of socio-economic development. Up to 1700, the financial returns from communal forestry, mainly from sales of timber, were used primarily to support the organization of the village community, especially to assist the poor and to provide for health care, education, road construction and maintenance, water supply and emergency funds. It should be emphasized that, thanks to the wealth generated by forestry, in the Middle Ages various communities rose to the status of rural republics which were fully independent from feudal lords and the cities. Examples in the eastern Alps are the magnifiche comunità of Cadore and Val di Fiemme, which were free associations formed among village communities of contiguous valleys whose forests constituted real social capital. The establishment of modern states' which occurred in the seventeenth and eighteenth centuries all over Europe, favoured the centralization of authority and the creation of individual private property, thus initiating the crisis of the village communities and their communal forestry. Much legislation was passed, on the one hand, to include the village communities within the newly established local authorities (the communes) and, on the other, to transfer communal forestry either to the public domain or to individual private landowners. However, despite the loss of political and administrative functions, communal forestry was able to survive in areas where it was more deeply rooted (or where resources were perceived to be less economically important to the state, although not to the local population). In some cases forestry returns were used to mitigate the shocks of a rapidly changing society, particularly high rates of emigration and the breakdown of family units which resulted in children, women and the elderly being left behind in the villages. Beyond welfare purposes, common property forest revenue has also been utilized to encourage the development of new activities, thereby providing an incentive for people to remain in rural areas. Support was given to initiatives such as milk processing cooperatives, savings banks and the development of infrastructure and services. Small private businesses could also benefit from grants, low-interest loans, warrants and even the use rights to existing buildings. Communal forestry has also sometimes made up for the failures of local authorities in a variety of fields, including education, health care, roads, water supply, lighting and sewage disposal. Now that the economy of the mountain regions has acquired post-industrial features tourism and prosperous small industries communal forestry, or what is left of it, has again shown its ability to play new roles. Numerous successful initiatives can be mentioned: nature park management, footpath and trail maintenance, sports and picnic areas, exhibitions and publications about local traditions and products, trade fairs, museums, the rehabilitation of communal buildings for cultural, sporting and other activities, and so forth. All in all, this kind of activity seems able to balance the needs of the local people with those of the community sensu latu, i.e. including city dwellers. Therefore, while representing the community's heritage, communal forestry also allows for local participation in the control of forest and pasture resources which have proved to be a strategic variable for environmental conservation and tourism development. To provide concrete evidence in support of the claims made above, a cost-benefit analysis is presented below, referring to communal properties located in the eastern Alps. Some 10 000 ha are involved (80 percent forest, 10 percent pasture and 10 percent unproductive land), managed by two consortia (Val del Boite and Sinistra Piave) for which accounts have been kept at Padua University since the early 1980s. Management costs (see Fig. 1) increased significantly, particularly in the late 1980s, as a result of stewardship practices aimed at conservation and the provision of recreational services. It should be stressed that the management costs for privately owned forests are relatively low compared with those involved in state or regional forest management. 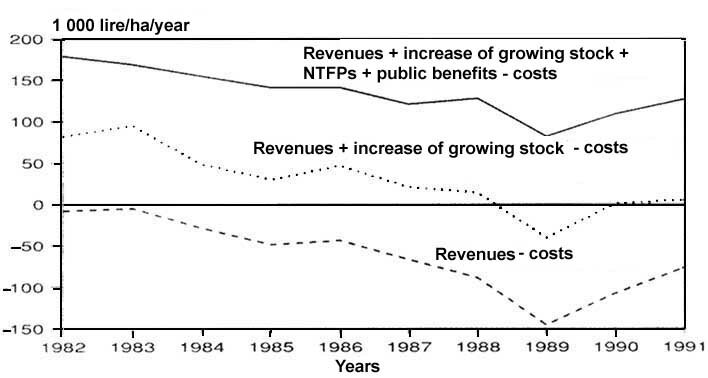 The revenue from timber and pastures during the 1980s showed a declining trend (see Fig. 2), mainly because of the increased emphasis on environmental, landscape and recreational objectives (e.g. conversion from coppice to high forest) which resulted in reduced fellings and increased growing stock. At the same time, non-timber forest products (NTFPs) and the value of recreation (measured according to a careful application of travel cost and contingent valuation methods) show a net increase and, consequently, the current value of NTFPs is clearly higher than the value of timber. The balance sheet of timber revenues and costs shows annual losses (see Fig. 3), particularly in the second half of the 1980s, because of higher management costs and reduced fellings. However, if the value of unexploited timber (capitalized as growing stock) is taken into account, the balance sheet becomes slightly positive. If NTFPs and public benefits from recreation are considered, the income statement becomes largely positive. Under traditional property rights, the collection of NTFPs, hunting and recreational activities were (and to some extent still are) unrestricted and free of charge. However, with the growth in tourism, the increased demand for environmental goods and the consequent pressure on forest management, this has become an unacceptable situation in recent years. The lack of definition and assignment of property rights quite clearly represents a shortcoming in forestry management, on the one hand preventing the creation of markets for NTFPs and environmental benefits and, on the other, encouraging "free rider" behaviour and giving rise to the so-called tragedy of the commons. Faced with these complex issues, communal forestry is now leading the way towards the definition and assignment of NTFP and environmental property rights. It is noteworthy that two important institutions - the regole of Cortina and the comunalie parmensi - today present balance sheets in which timber sales are only one-third of the total revenue. In the former case, access rights for sports and tourism (skilifts, slopes, car parks, camping grounds and other rents) are the main source of revenue while, in the latter case, it is medicinal herb and mushroom harvesting rights. These rights are sold as day permits and have increased from 4 000 fire (US$2.70) in the early 1980s to more than 10000 lire (US$6.70) today while the total number of visitors has remained stable or even increased. · In the face of the new challenges in forest management, communal forestry seems to have a greater degree of dynamism and flexibility than other types of land tenure. Unlike the public domain (state, regional or local authorities), this form of tenure cannot rely on the state forest services or on technical and financial assistance. In order to survive, therefore, it is obliged to adopt market solutions. · Remuneration of NTFPs and public services (otherwise definable as the capture of consumers' or visitors' surplus) appears to be more palatable and morally justifiable in communal forestry, as opposed to in the public domain where visitors own established rights and have set habits. There is considerable evidence, therefore, to support the rationale of communal forestry. In addition, field surveys can clearly show that the mountain regions where this form of land tenure still prevails have well-conserved and efficient multipurpose forests. The implications of this have not been ignored by government policy regarding forest and mountain regions. The Italian forestry law of 1923 and the mountain and regional development acts of 1952 and 1971 explicitly acknowledged the importance of communal forestry. Its consolidation and/or reconstruction have been supported through the establishment of forestry associations, i.e. management and administrative bodies which follow the main principles of communal forestry and unite properties belonging to different owners, including state, regional and local authorities, individual private landowners and traditional common property forest. 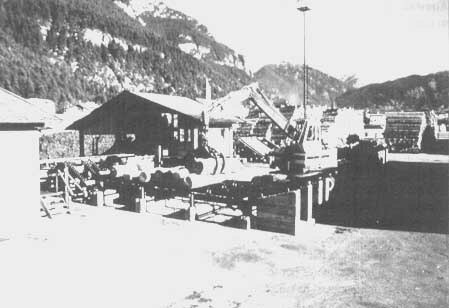 An even greater acknowledgement was expressed in the mountain and regional development act of 1971. Going beyond communal forestry, attempts were made to create mountain communities (associations of local authorities from small local administrative units) that would be responsible for regional economic development. These institutions clearly recall the tradition of the magnifiche comunità. However, experience has shown that it is extremely difficult to reconstruct communal forestry in areas where it has disappeared, and the same should be said for the even more ambitious project of establishing mountain communities. It must be recognized that these institutional policies have generally been successful only where people still retain a memory of and pride in ancient traditions. There are, therefore, various reports and statistical evidence showing that many alpine regions and their forests can no longer be considered marginal or underdeveloped. Rather, they represent a model for new types of economic development that are compatible with environmental enhancement. To what extent this is due to the policies of communal forestry and the re-establishment of mountain communities is difficult to say. Nevertheless, it cannot be denied that, at least in the eastern Alps of Italy, the valleys showing the most balanced development are those located where there is an established tradition of communal forestry (e.g. Val di Fiemme, Comelico, Conca Ampezzana). In conclusion, communal forestry has proved to be economically and technically sound and able to respond efficiently to many new challenges in forest management, particularly the shift in emphasis from sustained yield to sustainable multipurpose forestry. It has also responded to the related need to increase the financial returns from NTFPs and to commercialize environmental benefits. In Italy, a revaluation of communal forestry has taken place with the establishment of institutions such as the forestry associations and mountain communities. Strict economic objectives remain important, however. One of the main challenges facing communal forestry now is the definition and assignment of use rights over NTFPs and environmental benefits in order to provide the basis for commercialization and remuneration. Clearly, these are issues that are also deeply felt in many other contexts. Nonetheless, as communal forestry is one of the most advanced institutions with regard to the commercialization of environmental benefits, such issues are of particular concern to this sector, and the search for solutions makes communal forestry a laboratory for testing innovative natural resource management. De Martin, G.C.1990. La riscoperta e l'attuale rilevanza delle comunità di villaggio. In Comunità di villaggio e proprietà collettive in Italia e in Europa. Padua, Italia, CEDAM. FAO. 1989. Collective forest land tenure and rural development in Italy. FO:MISC/89/ 10. Rome. Forni, G. 1972. Società e agricoltura preistoriche nelle regioni montane della Padania. Rivista di Storia dell' Agricoltura, 12(1 - 2): 27 - 32. Hardin, G.1968. The tragedy of the commons. Science, 162: 1243 - 1248. Pareto, L.1896. (edición italiana, 1949). Corso di economia politica Turin, Italia, Einaudi. Sereni, E. 1955. Comunita rurali nell' Italia antica. Roma, Edizioni Rinascita.